Shoot! There are no fundraisers under this ngo currently. 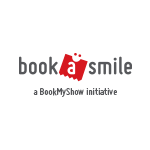 All of us at Lakshya Trust are really excited to be a part of India's biggest online fundraising event - Book 6 Million Smiles. We are grateful to BookASmile and Ketto for giving us the opportunity to spread our message to more people and invite you to learn more about what we do and join us in this fight.